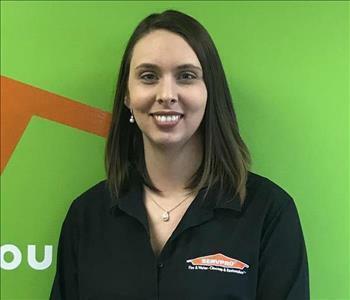 Before joining SERVPRO of Cumberland, Morgan and White Counties, Crystal worked as an Office Assistant at a Chiropractic Center in Nashville, TN. During this time, she developed strong organizational and people skills. When not at work, Crystal enjoys spending time with friends, family and her Chihuahua, Sadie Grace. She is also an avid reader, SEC football fan, Do It Yourselfer, and baker.